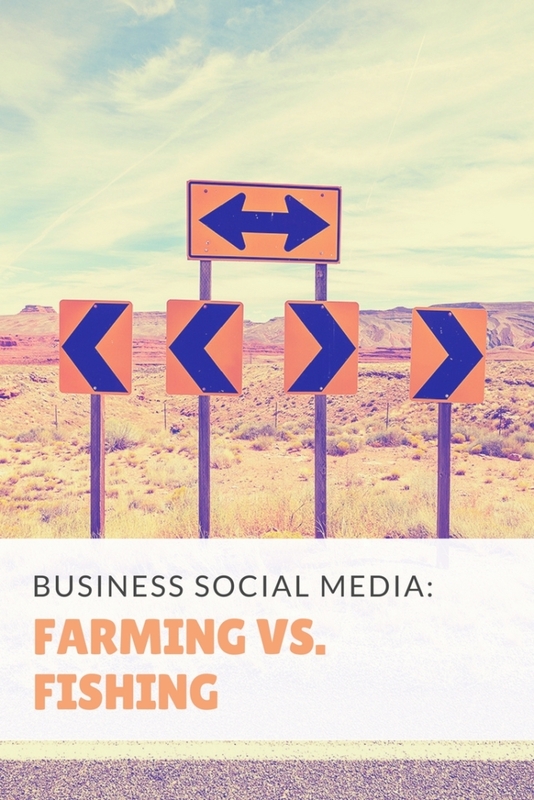 Your own blog, website and email list are like your farm, and social media is like a river where anyone can go and fish. When you own a farm, you get to choose everything: what to plant, when to harvest, whether to let it lay fallow. You own it, and any time and effort you put into it is for your benefit alone. When you create a blog on your own website (side note: your blog should never, ever be located at blogspot.com or wordpress.com – it should always be somewhere on your company website), you are farming your fields. You are adding value to your website in the form of search engine-friendly content, creating links back to your site when people link to your blog posts, and providing content to your customers and potential customers which may help them build their relationship with you. The same goes for your email list (which you should start building today, if you don’t already have one), and your website in general. These are things you own. No one can take them away from you. If you later choose to stop farming (stop blogging, stop collecting, email names), that’s up to you. 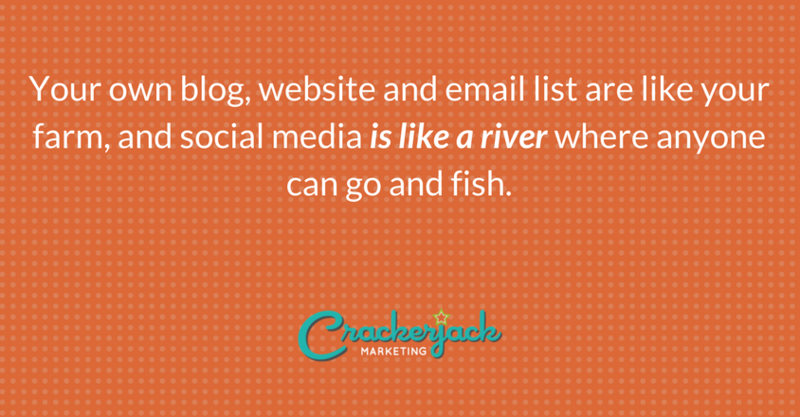 Social media is a fishing river, and you never know what’s going to happen to that stream. There may be vast amounts of fish one day (or year) and you could see huge benefits from it because you can get fish (customers) you may have never otherwise attracted to your farm (business/brand/cause). But you’ll never own the river, and so you should never put all of your resources into fishing, to the detriment of your time farming. Consider how quickly MySpace went away – the stream dried up, and all the money and time brands put into MySpace was lost, forever. The same could happen tomorrow to Facebook or Twitter. Sure, it’s not likely, but it could happen. Or brand pages could just fall out of favor with consumers. Or some other platform will be shinier and newer. The point is – none of these platforms are yours. 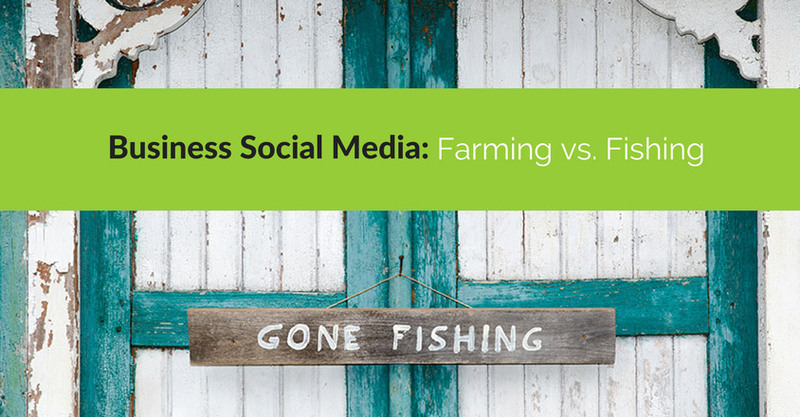 Doing both farming and fishing (your own content/properties + social), however, gives you a balanced pantry as well as a balanced business…. and the combination of the two can be very powerful. I always advocate that small companies and non-profits start their social efforts by creating and writing a blog. It’s rarely what they want to hear – they want to hear that Instagram is a huge channel and all they have to do is open an account – but blogging is really the best place to start. And once they have a blog, then they have original content to use in social channels, if they choose: Facebook, Twitter, Pinterest, and more. Unfortunately, if they have no interest in blogging, they just won’t do it, and so Facebook or YouTube or something else may be more appealing and more valuable for them. I get that. I just think it’s a short sighted view. So in my mind, the question a business should ask isn’t whether to choose Facebook over Twitter, or if Instagram is important. The first question to ask yourself is whether you’ve built and tended your farm.